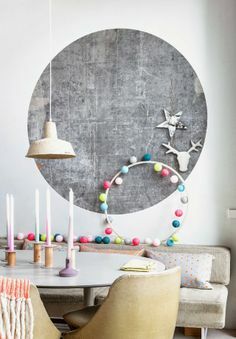 Anyway, I have been a little obsessed by all things spherical, circular and lunar for the past while and (inspired by many gorgeous wall art on my Pinterest board … like this one above) I decided to just do it. 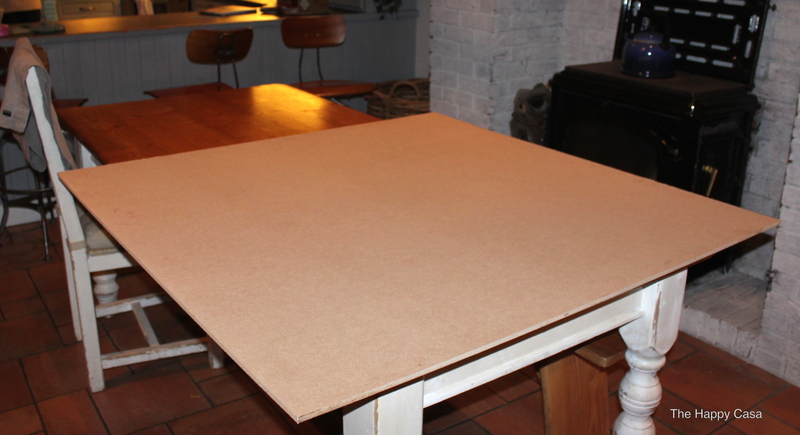 So I went off to B&Q and got myself some Plyboard ( they are fabulous for cutting it to the exact proportions and very helpful ) I decided I wanted some art for over my mantel ( I feel like all I have been posting about is this mantel but just bear with me if you can!) Anyhow, I had the vision in my head, it had to be large and square and minimal. I am hoping it’s not too large but it’s been cut now so I have to live with it! 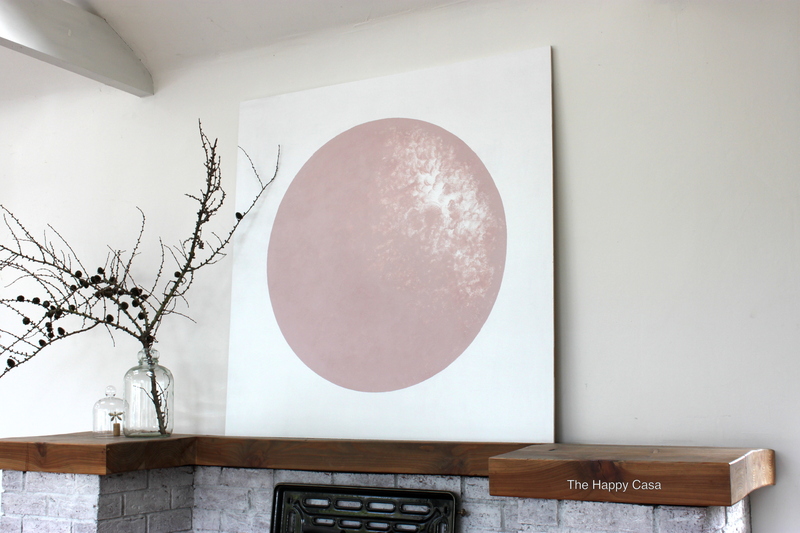 I had originally planned it to be bright sunflower yellow … and then I thought … maybe like an emerald-green or hot pink…and when I went into the shop to buy the paint I was instantly drawn to this pastel pink colour! So unlike me in lots of ways ( I thought ) but I love the colour and think it’s soft enough to not tire of too easily. And so here it is. My own sphere, circle, luna, moon … whatever you want it to be. What do you think?? Am still a little unsure if the dimensions are a little big… but I think I like it!!! Feel free to leave a comment below … thumbs up or down … and I promise there will be no photos of this mantel in the next post!!! its a Like!! As its so minimal I think anything smaller would be lost! The size gives it impact! Oh this is just Devine – there is so much character in this – the colour is subtle but really meaningful – I feel like I could sink into this piece and have a little journey!! Great choice of size , colour and location. And I like the size – sometimes too small looks lost. Well done !